Amazing view from the room. Lovely to have a balcony & kitchen facilities. We loved staying at Tina's house. The guest house was charming and the staff wonderfully warm, friendly and helpful. Our room was comfortable and the view of Navarino Bay and Pylos village from our balcony was breathtaking! The breakfast offered was plenty and much to choose from -eggs, bread, cakes, yogurt, delicious marmalade and good coffee and hot milk. The view of the bay from the spacious, airy breakfast room was spectacular. Location was great, easy walk to the village and port. I highly recommend Tina's house. 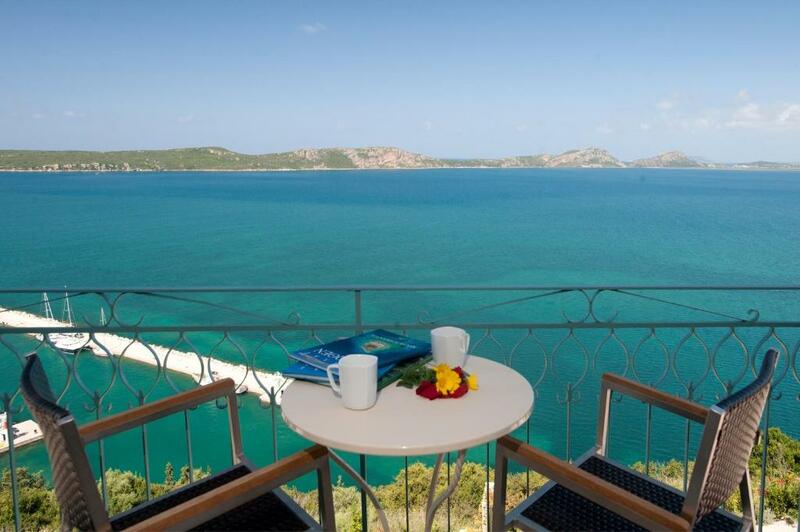 The view of Navarino Bay was spectacular from our deck! The room was clean and nicely furnished. Philip's Restaurant (on site) had excellent food. We ate dinner there but walked into town for breakfast. I was there just for one night, very nice location at the entrance of the city, parking in front of the hotel, very nice morning sea wiew from my room, clean, comfortable, perfect ! 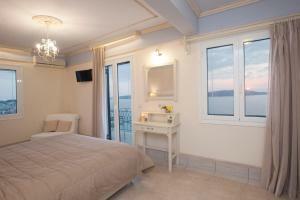 Lovely rooms high up on the hillside on the road into Pylos. Fantastic views across the bay to Sphaktiria island. 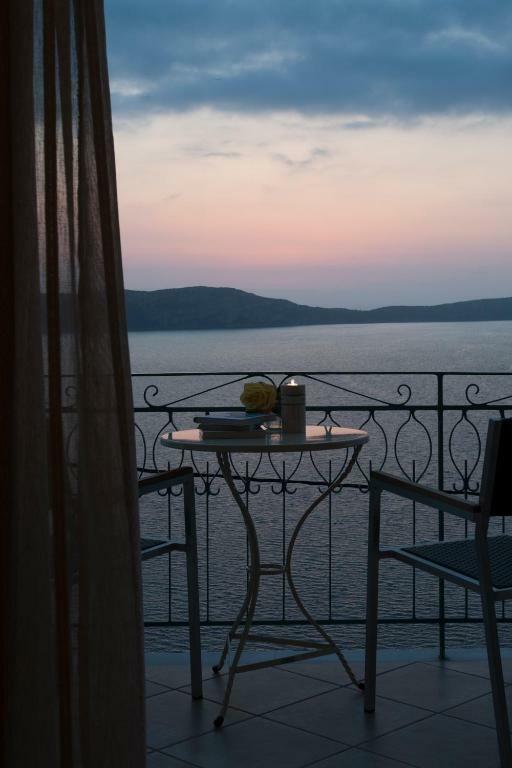 A reasonable dinner in the restaurant it shares with its partner hotel next door, although the best meal we had in Greece was lunch at a waterfront restaurant recommended by the proprietress. Fantastic views, but the road right outside is very noisy, had to buy earplugs! 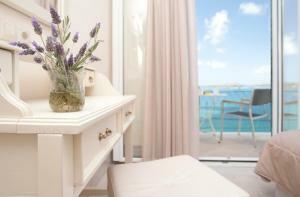 We had a spacious sea side studio with fabulous views. Bed was comfortable and shower was great. A short drive into town where there are lots of restaurants on the sea. Tina is a great host! The room was spacious, bright and comfortable. 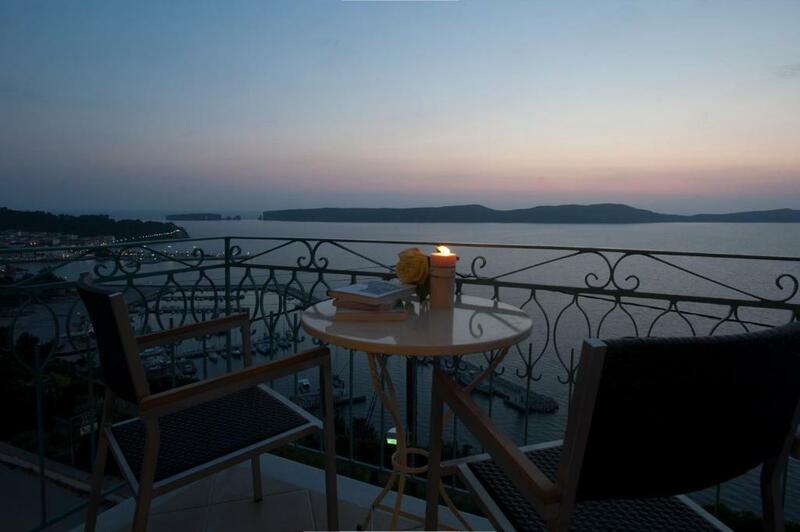 We liked to sit on our private balcony and enjoyed the evening drink having a fabulous view on the Navarino bay. The breakfast was billed separately - it was very good and worth the money. 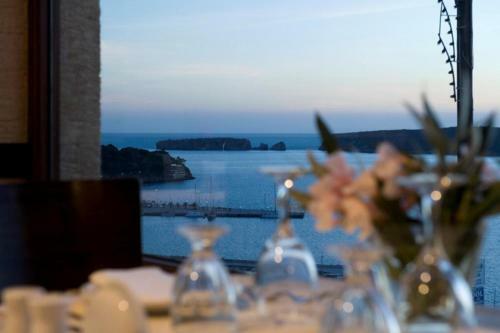 The center of Pylos is too far away for a walk but it is easy to drive and park there. There are nice restaurants there. Lock in a great price for Tina's House – rated 8.7 by recent guests! One of our best sellers in Pylos! Offering a restaurant and a snack bar, Tina's House is located in Pylos Town. It features tastefully decorated accommodations with free WiFi and a furnished balcony or patio with views over the mountain and Navarino Bay, or the garden. All air-conditioned rooms of Tina’s come with a flat-screen TV. 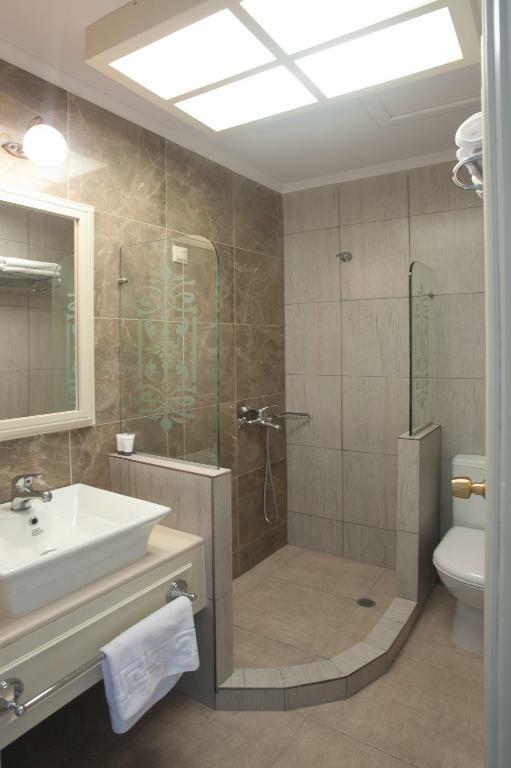 Each has a mini fridge and a private bathroom with a hairdryer and free toiletries. Guests may enjoy light meals and refreshing beverages at the on-site snack bar, while drinks are prepared at the bar. The property's restaurant serves dishes for lunch and dinner. The seaside village of Foinikounta is 12 mi away and Koroni Village is 19 mi away. Kalamata International Airport is at a distance of 22 mi. Free private parking is possible on site. When would you like to stay at Tina's House? Offering views over Pylos Town, the mountain and Navarino Bay, this air-conditioned and tastefully decorated room opens to a furnished balcony or patio. It features a flat-screen TV and a mini fridge. A hairdryer and free toiletries are included. Free WiFi is provided. Offering views over the garden and the mountain, this air-conditioned and tastefully decorated room opens to a furnished balcony or patio. It features a flat-screen TV and a mini fridge. A hairdryer and free toiletries are included. Free WiFi is provided. Το κατάλυμα μας βρίσκεται στην Πύλο Μεσσηνίας, και αποτελεί μια ιδιαίτερη εμπειρία διαμονής καθώς συνδυάζει μαγευτική θέα, ιδιαίτερη εσωτερική και εξωτερική αρχιτεκτονική και φιλικό προσωπικό. Η ιδιοκτήτρια και η οικογένεια της επιθυμεί να σας φιλοξενήσει και να σας προσφέρει μια ευχάριστη διαμονή. Κατά την διαμονή σας στην Πύλο μπορείτε να επισκεφθείτε την λιμνοθάλασσα της Γιάλοβας,την έκθεση "Ναυάγια" στο Νιόκαστρο, το Ναό της Μεταμορφώσεως του Σωτήρος, το Μουσείο της Πύλου, τα νησάκια της Πύλου Τσιχλί Μπαμπά, Σφακτηρία και Χελωνάκι, το Παλαιόκαστρο, το Λαογραφικό Μουσείο της Γιάλοβας καθώς και την Οικία του Ολυμπιονίκη Τσικλιτήρα. House Rules Tina's House takes special requests – add in the next step! Tina&#39;s House accepts these cards and reserves the right to temporarily hold an amount prior to arrival. Tina's House accepts these cards and reserves the right to temporarily hold an amount prior to arrival. We arrived on the second day of a bank holiday to find nothing provided in terms of tea/coffee or a little milk, with no shops open. Had we been told this we could have arrived prepared and find the lack of thought about this small element was particularly unforgivable. Access was difficult for the disabled member of our party, and might have been impossible for some people. As a general comment, Booking.com should ask its users to mention accessibility issues when putting their properties on the site. Breakfast is what they bring you with no choice for 8 euros each. Only had it one day and went elsewhere. No washing machine in room either as stated. Actually none in the town. I see they have now amended their website and the washing machine is now not listed as being in the room. The shower has no curtain or door, so the floor of the relatively small bathroom gets completely soaked. The sink is also very small, though this is trivial. Well, we had a room on the front, with a fabulous view of the bay, the yacht basin and the town; and we thoroughly enjoyed our little balcony as a place to have a drink before heading out into town for a meal. (There is a restaurant just below, by the way, that may have perfectly good food -- we simply didn't try it, except for breakfast [8 Euros], which was plentiful and pleasant. 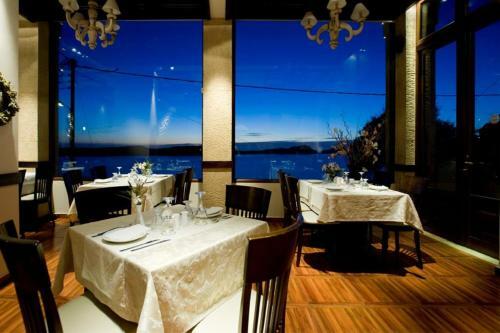 You also get great views from the restaurant, by the way.) The fridge in the room is the largest and most efficient of any we have had in our month of travels in the Peloponesus. 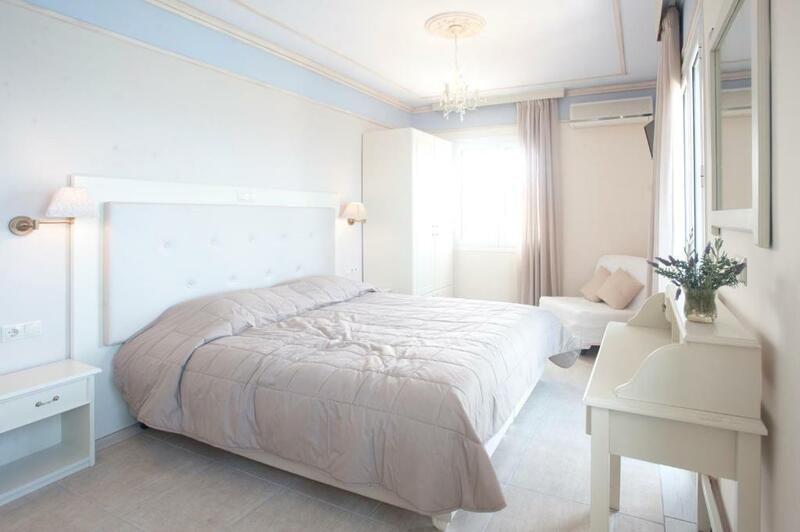 Our bed was comfortable, and with modern PVC double-glazed French doors leading to the balcony and metal shutters as well, the room was both quiet and dark at night. It's great to have parking just opposite the place in a private lot owned by the Philip, Tina & Co. It may be worth knowing that the Hotel Philip next door--adjoining, actually--and the restaurant below are all one family business. Philip started with the restaurant, then 'Tina's House' above was converted into a guesthouse, then he expanded to build the hotel, in two phases. The place is very attractive and harmonious. Warm welcome. Clean and with nice view.